It can be triggered by a wide array of things including diet, stress, genes, inflammation, or a disorder of some sort. While many people use chemical treatments to control their hair loss, I have discovered natural remedies and dietary changes that work to treat two of the three root causes of alopecia. In 2009, at the age of 25, I was diagnosed with alopecia. The next year, I had to find holistic alternatives to common treatments because I was no longer covered under my family’s health insurance plan. With little money and a lot of research, I discovered the causes of alopecia as well as the natural treatment options that can improve hair growth and improve hair and scalp quality. Alopecia can be triggered as a result of one’s genetic background, stress, food allergies, autoimmune response, inflammation, hormonal imbalance, poor diet, chemotherapy, or direct physical tension on the hair follicles. Hair loss is experienced differently by each individual as each form of alopecia has unique characteristics and symptoms. Sometimes inflammation, due to poor diet or stress, can lead to a temporary form of alopecia that later transitions into the more permanent form. If your form of alopecia has been accompanied with another form of alopecia, symptoms may overlap and hair loss may be even more prominent. Androgenetic alopecia is the most common permanent form of hair loss. The main symptom of androgenetic alopecia is the progressive dispersal of hair loss throughout the scalp. There are no patches nor complete hair loss due to androgenetic alopecia. Patches may occur, however, if you have other forms of alopecia, as well. Male-pattern hair loss is a form of androgenetic alopecia that affects only men. It causes dispersed hair loss that is most prominent along the temple and crown of the head. Its equivalent for women is known as female-pattern hair loss, which is most prevalent along the hairline, though it is also dispersed and not patchy. Androgenetic alopecia (AGA) has two names, both of which are descriptive names that explain their root causes. Androgenetic alopecia is also called androgenic alopecia. This form of permanent hair loss is both genetic and as a result of excess male hormones called dihydrotestosterone (DHT). There is also a third cause of androgenetic alopecia that is often overlooked: inflammation. You are more likely to have AGA during your lifetime if your immediate family members have it. The genetic aspect increases the risk, but other factors may trigger the inactive gene. AGA hair loss begins in one of two ways. Excess DHT will attack the hair follicles or inflammation will cause normal levels of DHT to attack the hair follicles. Either way, the continued attack on the follicles will cause strands to shrink until inevitably they disappear altogether. In my case, I have noticed strands of hair that are not gray, as I do not have gray hair, but that are completely transparent. I also have strands that are significantly smaller than the rest. Over time, the strands will not only shrink in diameter, but the hair will fall before it has matured, leading to shorter, thinner hair. To determine your type of hair loss accurately and ensure that you get the proper treatment you need, please seek the assistance of a professional dermatologist. Do not try to self-diagnose. If you are wrong, you might make a potentially temporary problem a permanent one. When at the dermatologists office, he or she will check your scalp visually first to see if there is any scarring, redness, or inflammation. If the problem is not obvious with a simple scalp check, you may need a biopsy to be performed and analyzed to determine the root cause of your hair problem. If there is still uncertainty, a blood test might need to be performed. If you are in fact diagnosed with the most common permanent form of alopecia, don’t panic. There are actual treatments that can stimulate the new growth of hair follicles and prevent them from falling prematurely, so you can continue to have long, thick hair. The medical field has a few treatments, as well as home remedies, but unfortunately there are no known permanent solutions to androgenetic alopecia. In order to reduce the symptoms of AGA, you must target the causes. You can’t target your genetic makeup, but you can target androgens and inflammation while stimulating new hair growth. The most prescribed medical treatment for permanent hair loss is Minoxidil, which is commonly known on the market as Rogaine. Rogaine treats AGA by preventing the androgens from attacking the hair follicles, thus reducing noticeable hair loss. Minoxidil is not a permanent solution and will stop working shortly after you stop taking it. Although it allows for hair growth, the hair will still likely not grow to its full potential, but will be enough to cover some baldness. In men, finasteride, also known as Propecia on the market, is used to treat male-pattern baldness by reducing DHT, or androgens. It is not safe for use in women of childbearing age, who are pregnant, or for children who suffer from hair loss. Ketoconazole shampoo is another medical treatment option that targets inflammation-caused AGA. German study conducted on dogs confirms that tea tree oil’s anti-inflammatory properties can help reduce alopecia, dandruff and other inflammatory skin disorders. Coconut oil is also used in natural skin and hair products for its lauric acid, anti-inflammatory properties and natural moisture. Coconut oil is also reported in the Journal of Cosmetic Science to actively prevent hair damage. Olive oil and castor oil can also be used to ease inflammation and hydrate the scalp. Apple cider vinegar is used as a home remedy for many skin and hair ailments. Many natural hair loss treatment patents include apple cider vinegar as an active ingredient. The omega 6:3 ratio is also important in preventing inflammation in the body and in the scalp. Omega-3 fatty acids and especially gamma-linoleic acids (or GLAs) in the form of black currant oil or evening primrose oil can help to fight against inflammation. According to Dr. Axe, ingesting omega-3-rich foods such as those found in green tea, chia seeds, flax seeds and pumpkin seeds can help stimulate growth and fight inflammation. Karen Lamphere, MS, CN recommends also eating more antioxidant-rich foods like dark leafy greens and onions can help fight inflammation. In fact, the Journal of Dermatology has reported that onion oil has been successfully used to treat the temporary, inflammatory form of alopecia, alopecia areata. Karen Lamphere also suggests adding anti-inflammatory herbs to your diet, especially rosemary. According to Dr. Axe, rosemary essential oil can increase hair growth by 20 percent. Inflammation can also occur as a result of consuming too many inflammatory foods such as trans-fats, omega-6-rich foods, gluten or other food allergens, and refined carbohydrates and sugars. Green tea and pumpkin seeds fight AGA by targeting both the inflammation and the androgens. According to the Physicians’ Desk Reference for Herbal Medicine, pumpkin seeds’ ability to block DHT is due to the presence of unusual amino acids, such as cucurbitin. The epigallocatechin gallate (EGCG) found in green tea is the active blocker against the formation of DHT. Saw palmetto has been extensively researched for its ability to block DHT and stimulate hair growth. In the Journal of Alternative and Complementary Medicine, a study was published in 2002 and showed that 60 percent of test subjects who took 400 mg of saw palmetto and 100 mg of beta-sitosterol experienced more hair growth than those who took a placebo. In 2010, Advances in Therapy published an article that revealed how low concentrations of saw palmetto extract are just as effective at blocking DHT than the prescribed drug finasteride. Biotin is a popular hair growth supplement that can also be found naturally in brown rice and nuts. It is an intestinal bacteria that helps promote amino acids, the building blocks of protein and hair. Peppermint oil is both anti-inflammatory and can stimulate hair growth by increasing circulation and hydrating the scalp. According to the University of Maryland Medical Center, the herb ginkgo biloba can increase hair production by improving blood flow. Aloe vera gel contains polysaccharides and glycoproteins which also improve circulation and hair growth. When I received the results from my biopsy and blood work, I discovered that I have androgenetic alopecia due to chronic inflammation. I was prescribed ketoconazole and minoxidil. After losing coverage under my family’s health insurance plan, I needed to find natural alternatives. I discovered that part of the problem in my specific case was gluten and refined, processed flours and sugars. As a result, I began reducing and eventually eliminating these substances. The inflammation had left my scalp red and stinky, seeping liquid from time to time, and in a lot of pain. When I stopped eating gluten, those symptoms subsided. It had become so intolerable that even the process of tying a ponytail onto my hair or brushing it was painful. Not only did the pain reduce dramatically, but so did the hair loss. Before eliminating gluten, I was losing a whole drain-full of hair after every shower, not including all the hair I had lost throughout the day. Two years later, the most hair I lose is half of that amount. The majority of the time, there is only a small ring of hair in the drain. With my particular type of AGA, this one dietary step alone has made the most difference of all the things I have tried thus far. Other things I have tried include tea tree oil, aloe vera, organic coconut and olive oil, Chinese herbal shampoos, apple cider vinegar and biotin. I noticed minor hair and scalp benefits from each. Biotin and the Chinese herbal shampoos helped stimulate hair growth noticeably well. Coconut oil and olive oil left my hair too greasy, as I did not know how to rinse it out properly. Aloe vera and vinegar worked in reducing both inflammation and pain. Out of these herbal and natural treatments, apple cider vinegar has been the most beneficial for easing pain. I keep a bottle with me whenever I go anywhere in case I start feeling pain or experience other symptoms of inflammation, such as redness or a strong odor. I dilute it with water, using a ratio of 2:1 water to vinegar. If you are worried about the scent, use diluted white vinegar for when you are out and about, and use the apple cider vinegar when you are near a sink. I prefer white vinegar for traveling and have found it to be equally as useful. Also, I have found that consuming apple cider vinegar helps with the symptoms of inflammation as well. If you find that you have AGA, combat your hair loss and improve hair quality with any of these tried-and-true methods. Her Alopecia, a support website for women with AGA, recommends a combination approach that incorporates a stimulant, DHT blocker, and anti-inflammatory agent. 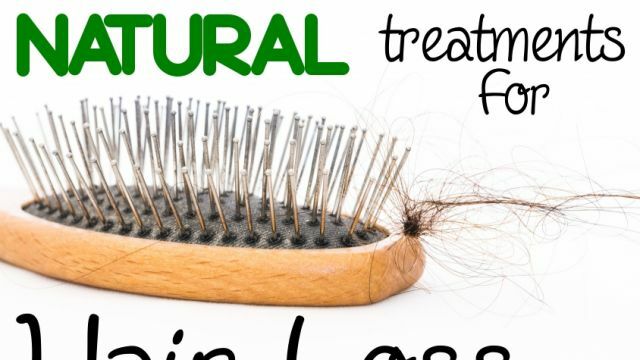 Whether you are seeking an alternative to treatments or something to complement them in more effectively targeting hair loss, these natural treatments can help you maintain and grow more of those flowing locks. Nicole Manuel, CPC is a certified life coach with a degree in economics and over five years of professional writing experience. Her goal is to help others discover ways to incorporate sustainable solutions that can improve their health and well-being on a budget. Hey Buddy!, I found this information for you: "Androgenetic Alopecia: Causes and Natural Treatments That Work". 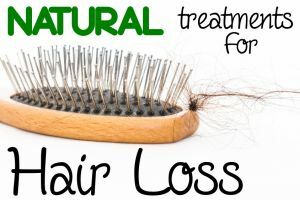 Here is the website link: https://www.thealternativedaily.com/natural-treatments-hair-loss-androgenetic-alopecia/. Thank you.